Last week, Samsung held its annual Foundry Forum in the U.S. At the event, the company revealed a roadmap that takes its process technology to 7nm Low Power Plus, 5nm Low Power Early and 3nm Gate-All-Around Early/Plus. The 7nm LPP process will be Samsung's first to use an EUV lithography solution, and should be ready for production during the second half of this year. Mass production of parts using the new process will start in the first half of 2019. That happens to be when rival TSMC will start mass production of parts using its 7nm+ node (also using EUV lithography), and start risk production of its 5nm node. Chips based on Samsung's 5nm LPE will provide ultra-low power consumption. And the last of the chips to employ FinFET will be produced using the 4nm Low Power Early/Plus process. Chips built with this process technology will feature improved performance and a smaller cell size. The two will begin production in 2019 and 2020, respectively. 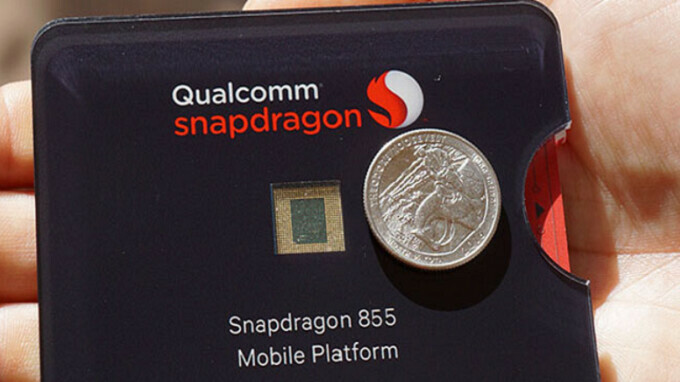 Earlier this year, we passed along a report out of Korea that said Samsung will produce the 7nm Snapdragon 855 mobile platform, which will reportedly be powering next year's Samsung Galaxy S10. Starting with the 3nm node, Samsung will use its own next-generation GAA (Gate all-around) architecture MBCFET (multi-bridge-channel FET). 3nm production is not expected to begin until 2022. Keep in mind that the smaller the node size, chips that are produced using the process are more powerful and energy efficient. Quite the impressive achievement Samsung but Tsmc isn't too far behind. Do you have access to the data used by each technology, to prototypes and results from both Samsung and TSMC? If not, how do you know that Samsung is not creating a piece of s**t that is inferior to SD 200? In either case I hope the both drop the voltage used to less than 250 millivolts. This would make the SoCs use a lot less energy in the long run. Like they did to the LPDDR4X ram that only uses 0.6 volts instead of 1.1 volts. They really need to drop it even more. If both the ram and the SoCs operated within 250 millivolts. This would have a profound effect on battery life to the point that existing batteries and their current capacities would be more than fine. Since Samsung makes the vast majority of the RAM used in mobiles as well, then Sammy make it so. Slow down samsung, intel is still stuck in double digit nm. Read and learn:https://wccftech.com/intel-losing-process-lead-analysis-7nm-2022/ Both TSMC and Samsung 7nm are not true 7nm. Same upcoming 5nm/3nm. But enough to fools peoples like u.
I just read that article but the writer seems to have a habit of choosing opinion over fact at points, he doesn't express certainty in the claims he makes about TSMC and Samsung's processes. His defense of 'this is the case for Intel so it must be the same for others as well' seems rather unfounded. Unless the processes used are exactly identical you can't make that claim. Not saying he's wrong, but his method of coming to the conclusion certainly isn't a convincing and trustworthy one. You dont need to read what author writes, just read the difference of Intels/TSMC/Samsung Process Feature Size Comparison. https://www.semiwiki.com/forum/content/6713-14nm-16nm-10nm-7nm-what-we-know-now.html No one sees TSMC/Samsung 7nm as true 7nm. Well, considering Mobile SoC's use less instructions compared to consumer grade computer processors, well yes, it doesn't take a genius to know that intel will still use double digits for a while. Less and Simpler Instruction Set. Seriously, this guy who praises Samsung too much is obviously too closed minded. I've got a Samsung, but still Mobile SoC's are still not yet there (overall) when pitted against Desktop CPU's. We're going into quantum territory soon, I wonder how they're going to solve the issues that will arise. 2nm to go. They first need to drop the amount of current used, as well as the drop the voltage down even further. No small feat, but I believe it can be done. They already have the ram operating on 500 to 600 millivolts (0.6 V). So they need to get the SoCs to operate at those voltages or even less like 250 millivolts. This wouldn't increase speeds, but then there is nothing stopping them from adding in more GPU cores to the existing GPUs. For that matter adding more CPU cores would be nice as well. Wouldn't it be nice to have a 1024 GPU core in a mobile smartphone. Get 4 teraflops GPU in a smartphone would be awesome. Bring it on. what will happen after the 1nm? Will they start using fractions? 1nm is 1000 picometers. But that's too small, and electronics will start acting up on such a tiny scale. They will go into p(ico)m territory. And two weeks after that they will achieve 0 nanometer process tech. there's no such thing as 0 nanometers process. 1 nanometer is 1000 picometers. But again, it's not going to work below that. Maybe not with the technology we have today, but tomorrow is another day and 2022 is tomorrow. Okay i have 1 question.Let’s say that everything goes to plan and they start producing 3nn chipsets in 2022, what then!?! In what direction will the SoC industry go? I mean 3nm is the theoretical limit with dye shrinking, right? My guess is that it'll slow down (going tinier) until they find a way to make it work beyond that. There's a lot of marketing speak going on here to obscure some actual tech but the progression is still impressive!